Gain the work experience and knowledge required to become your best in the healthcare profession. Join our networking team and open the doors to rewarding health care careers. Ensure that your billing, appeals, coding, or collections are being handled accordingly with our Revenue Cycle Management services.If you are looking for someone that can get it right "the first time", call 1st Impression Medical Billing, Coding and Collections Services, LLC. Proudly Serving the Following Areas in Texas: Arlington, Grand Prairie, Fort Worth, Dallas, Irving, DeSoto, Mansfield, etc. Trust in professional coders and medical billing solutions from 1st Impression Medical Billing, Coding and Collections Services, LLC in Arlington, Texas. We provide a new trend of full-service medical billing, coding and collections assistance that offers solutions specifically catering to your Revenue Cycle Management organizational growth. With more than 40 years of experience in the medical industry developing solutions for highly respected clients, our client goals are to maximize your reimbursements and to minimize your employee retention. 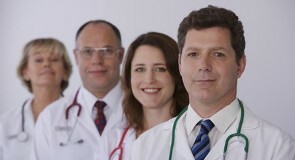 Ist Impression Medical is a wonderful and exciting organization to be a part of. Learn how we can assist you in gaining real solutions to real problems. Call 1st Impression Medical Billing, Coding and Collections Services now! At 1st Impression Medical Billing, Coding and Collections Services, LLC we care about what we do. We focus on getting things right the first time. We treat each client individually and cater our services to meet your client specific needs. We are passionate about succeeding and building continued client success. It is our mission to provide each and every client with personalized service while catering to suit their needs, Our approach is to provide customized solutions while improving revenue for clients. In understanding the exclusive needs of individual clients, 1st Impression Medical strives to get it right "the first time". Our mission is to educate others in life and sustainability in knowledge of Workflow Management Operations and self. Our mission is to equip other with the understanding to achieve personal goals in life. 1st Impression Medical is dedicated to be your first choice in Medical Billing, Coding and Collection services by understanding your service needs, exceeding your expectations and contributing to the medical communities we serve. Our passion is to help clients improve financially and to continue providing knowledge through education. 1st Impression Medical prides itself in empowering others to be their best at all times.1st Impression is a cut above competitors in its upscale attire and level of professionalism. 1st Impression is here to suit your needs and prides itself in doing so. Our client specific approach begins with root-cause analysis, analytical problem solving and detail oriented solutions. Our vision is to continue growing as the “go to” corporation that clients and students desire to conduct business with. 1st Impression Medical values reliability and accountability to its clients. We strive to continue meeting and exceeding expectations. Integrity and outstanding work ethics excels our organization above. Our organization is committed to inspiring the community to continue understanding the healthcare industry. 1st Impression Medical supports and believes in giving back to the community. We are not here to nickel and dime you. We are here to help you succeed. 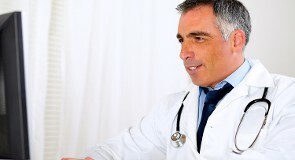 1st Impression Medical cares about your future growth and success. We pride ourselves on providing excellent service. No project is too big or too small, so give us a call! Medical Billing, Coding or Collections needs. Hours of Operation: Monday–Sunday, 8:00 a.m.–8:00 p.m.
1st Impression Medical Billing, Coding and Collections Services, LLC.